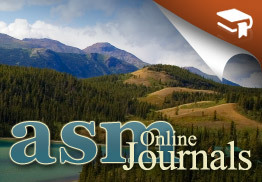 The Journal of Mammalogy is the flagship publication of the American Society of Mammalogists. Published since 1919, the highly respected international scientific journal promotes interest in mammals throughout the world by the publication of original and timely research on all aspects of the biology of mammals; e.g., ecology, genetics, conservation, behavior, and physiology. Society news and student scholarship opportunities are published regularly at the end of each issue. Online access is available here. Mammalian Species is published by the American Society of Mammalogists with 15-25 individual species accounts issued each year. Each uniform account summarizes the current understanding of the biology of an individual species including systematics, distribution, fossil history, genetics, anatomy, physiology, behavior, ecology, and conservation. The accounts vary from 5-14 pages depending upon what is known about the species. Online access is available here. Special Publications 1–11 are freely available at Biodiversity Heritage Library; click on title to be redirected. Special Publication 12 is still for sale from the American Society of Mammalogists. Special Publication 13 is now available only from author Howard E. Evans, Cornell University. Members have digital access to Journal of Mammalogy and Mammalian Species by logging onto their account through the business office site.